When it comes to real estate, the greatest luxury is customization. That’s why many people invest in land, so they can build a dream home that’s exactly to their liking. As with all real estate purchases, you must make sure that there are no injunctions or liens against the land. You will want to have a title company do a title search to determine if the property’s paperwork checks out – sometimes, even sellers don’t know that there are encumbrances attached to their property. You can access Bayfield County’s land records here. The property’s zoning status will dictate the ways you can use it. In other words, you may own the land, but that doesn’t necessarily mean you can do whatever you want with it. The planning and infrastructure requirements for rural, residential, and commercial land are all very different. And there are restrictions if the lot is near historically or ecologically significant locations. Bayfield County’s zoning code also has provisions for the protection of aquatic life, the preservation of shore cover, and the prevention of overcrowding of any natural resource. You can see the zoning code in its entirety here. How is the surrounding land? 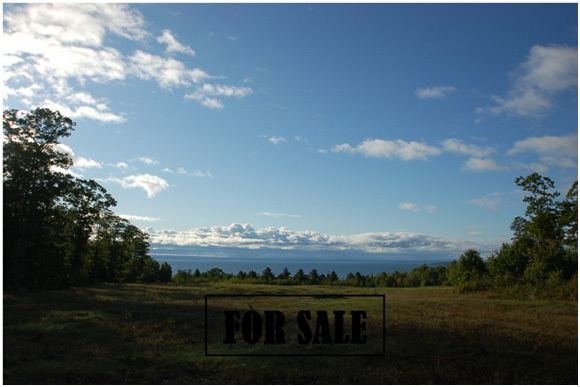 Don’t just look at the lot you intend to buy, but the surrounding land as well. For instance, that stream at the foot of the property might turn torrential when it’s raining, which could result in the property getting periodically flooded. Also, find out if there are any future developments being planned – is something going to rise that may potentially block your beautiful views? Some buyers purchase land with the intention of subdividing it to multiply profits. However, not all properties can be subdivided. Make sure to clarify this with your agent before purchasing land. Yes, the property might be located in a pristine corner of Bayfield, far away from the bustle. However, the more secluded a piece of land, the harder it usually is for utility companies to service it. If it’s beyond their service area, you may need to pay more to get a connection. On a related note, you also must make sure that the land has road frontage or has access to a public road via a deeded easement. Find out as well if you may need to construct roadways leading into your property. How much are surrounding properties valued? Last but not the least, check the going rate for the properties surrounding the parcel. Has their market value increased or decreased over the past years? This is a good indication if the land is worth investing in. Buying land comes with many rewards, but also some challenges. Hopefully, the tips above will help you better navigate the purchasing process. Want to talk to a trusted local real estate agent? Call Windseeker Realty LLC at (715)779-5000 or e-mail Agent(at)WindseekerRealty(dotted)com today.